SUPERAntiSpyware, with over 20 million users worldwide, is the most thorough scanner on the market. Our Multi-Dimensional Scanning and Process Interrogation Technology will detect spyware other products miss! 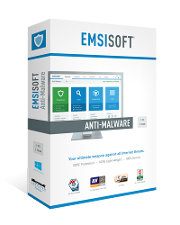 Easily remove pests such as Vundo, TDSS, AntiVirus Pro 2010, and thousands more! Repair broken Internet Connections, Desktops, Registry Editing and more with our unique Repair System. Our Dedicated Threat Research Team scours the web for new threats and provides daily definition updates.